Congratulations to the 2014 Agents Cruising with SRC in February! Saluda River Club congratulates these top real estate agents and brokers who have met their 2014 sales target at Saluda River Club. 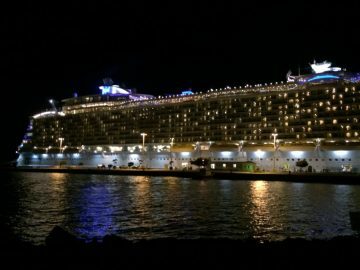 All are invited to join Andy White, the developer of Saluda River Club and other members of his management team on a week-long cruise aboard the Royal Caribbean’s masterpiece of naval engineering, the Independence of the Seas, February 8-14, 2015. Kara Powell, Director of Business Development, notes happily that in 2014, 30 Midlands area real estate agents earned this outstanding incentive: a weeklong cruise for two. Congratulations to all! For directions to or more information about Saluda River Club, call 803-358-3969 or visit www.saludariverclub.com.